Andhra University, Visakhapatnam will invites the applications for the candidates who are interested in the Andhra Pradesh Research Common Entrance Test (APRCET)-2019 conducted for the M.Phill and Ph.D. The candidates who are eligible for the entrance examination could fill the application form. Candidates who have passed the graduation from the recognized board can fill the Andhra Pradesh Research Common Entrance Test application form. Candidates having PG degree in Science, Arts, Management, Commerce, Law, Pharmacy and Engineering Courses could apply for this entrance examination. Candidates who are waiting for the final result of the qualifying degree that candidates are also eligible for appearing in the APRCET 2019. 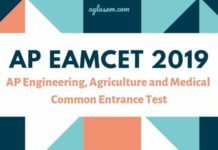 The entrance test will be conducted in nine Regional Centres that are- Visakhapatnam, Rajamahendravaram, Guntur, Nellore, Anantapuram, Kurnool, Kadapa, Tirupati and Hyderabad. Candidate should have Master Degree with the maximum 55% marks. Relaxation of 5% Marks is there for the ST/BC/PWD candidates. Regular Faculty working in the University or the P.G. Centers. Technical employees working in research institutes having completed at least five years of service. Faculty working in Postgraduate and Professional colleges having completed at least two years of service. This provision is not applicable to Faculty teaching Physics, Chemistry, Mathematics and Humanities in professional colleges. For more details on eligibility, candidates can check here. 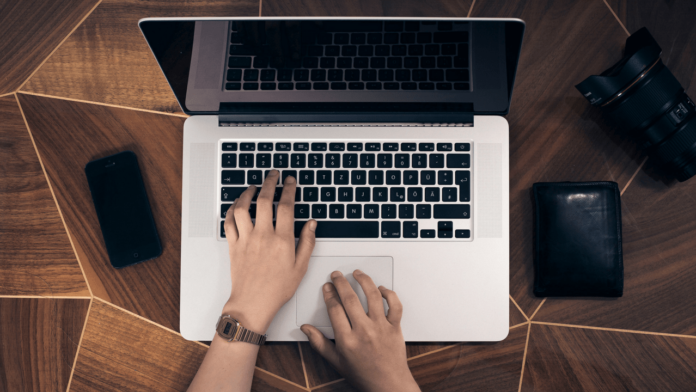 Before filling the application form candidate need to go through the eligibility criteria first of the candidate will not be eligible for the entrance examination that candidate will not be allowed to appear in the examination. The application will be filled through the online mode only. Candidate firstly has to visit the official site. 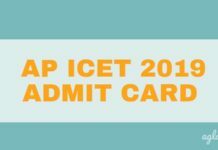 From there click on the link in which APRCET 2019 online application form mentioned. Application form page will open. The candidate will have to mention all the details which have been asked in the form. After filling the form click on the submit button. After the fee payment candidate’s form will successfully get submitted. The candidate who will successfully submits the online application form for that candidates only the admit card will be release. It is mandatory for the candidates to bring the admit card on the day of the examination if the candidate will not bring the admit card that candidates will not be allowed to appear in the examination. For different courses, different admit card will be release. Admit card will be release before the examination date. Qualifying marks for the open category will be 50% and for the OBC/SC/ST/PH categories will be 45%. Examination will be conducted through the online mode. After the successful conduction of APRCET 2019, answer keys will be announced. Candidates will be able to check the same from the official website, also direct links to check the same will be given below. Candidates can check the same and predict their score. After the examination, the result will be announce by the conducting body. Candidate can check his/her result through the online mode. Admissions Committee will give ranks/final marks awarded out of 200 after clubbing the marks of entrance test (180 marks) and interview marks (20 marks). Candidates who appeared in the examination can check their result as it is announced. Direct link to check the same will be posted in this page. Candidates who will score the minimum marks in the examination prescribed by the council will only be called for the Interview process. Part-A shall be the Teaching and Research Aptitude on the lines of UGC NET Paper-I Syllabus. The candidate possesses the competence for the proposed research. The research work can be suitably undertaken at the Institution/College. The proposed area of research can contribute to new/additional knowledge. For the reference purpose on APRCET 2019, candidates can check the brochure of APRCET 2018 download information brochure. Insofar, Official details for APRCET 2019 has not been announced yet. Information on this page os based on last year information brochure and for refrence purpose only. 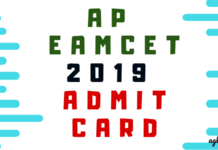 As soon as Andhra University releases the APRCET 2019 information brochure, details will be updated here.